If we don't urgently foster creativity and develop empathy in the next generation, what could be humanity's future? We need your help to democratize creativity and grow empathy universally for a prosperous and peaceful future for all. Your every dollar can on average bring the 6th Arts Olympiad to a child who lacks creative outlets and empathetic training. Just $500 can spread the Arts Olympiad to a low-income US school district or $2,500 to a poor country. For $5,000 you could sponsor an issue of ChildArt quarterly so that children receive the printed issue and not an eMagazine. For $15,000 you could sponsor the judging and selection of the Arts Olympiad winners in a city of your choice. 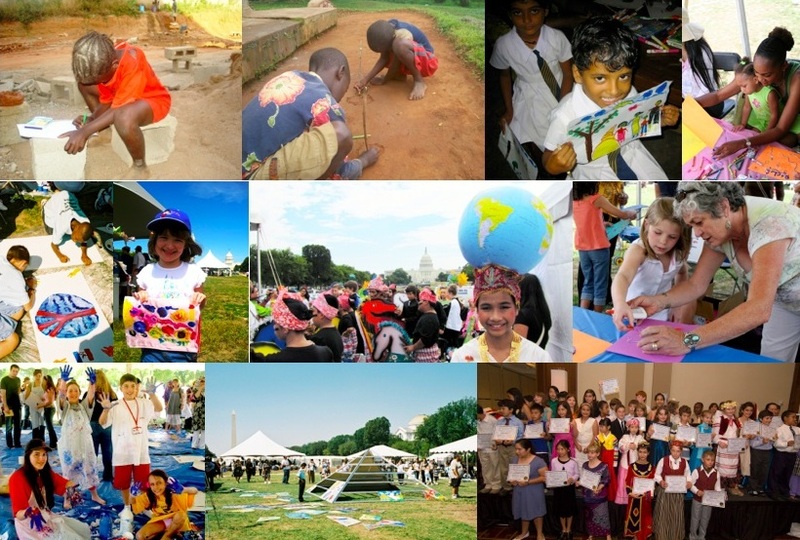 For $100,000 you could become a leading sponsor of the 6th World Children’s Festival on The National Mall in Washington, DC in June 2020. You can support the ICAF when you purchase from Amazon or eBay. You will be pleased to know that the ICAF is independently ranked among the 25 Top Children’s Charities in the United States. By fostering children’s creativity and developing their empathy, the ICAF fulfills six of the 27 Social Development Goals (SGDs) of 2030UN. The ICAF’s work reduces poverty, promotes good health, brings quality education, ensures gender equality, reduces inequities, and builds peace in communities and the world at large.